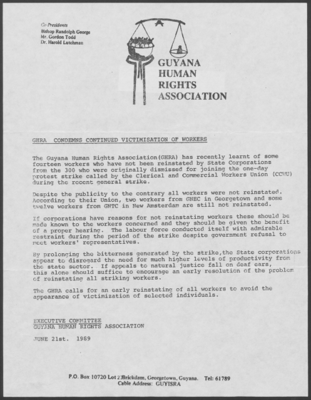 GHRA Condemns Continued Victimisation of Workers. 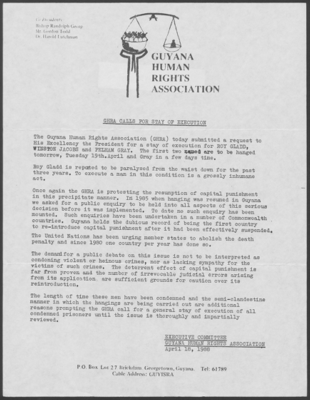 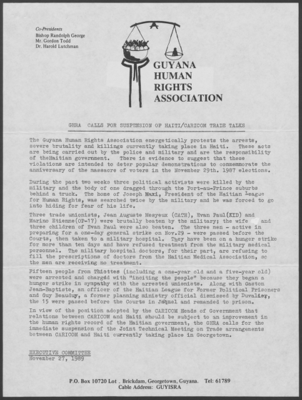 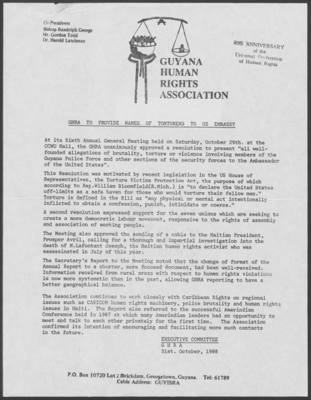 Guyana Human Rights Association. 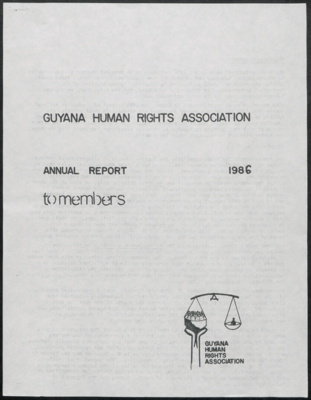 Annual Report to Members. 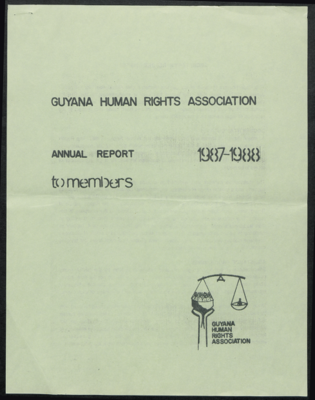 1987-1988. 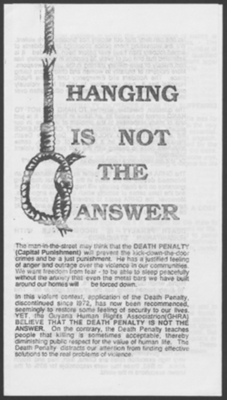 Hanging is Not the Answer. 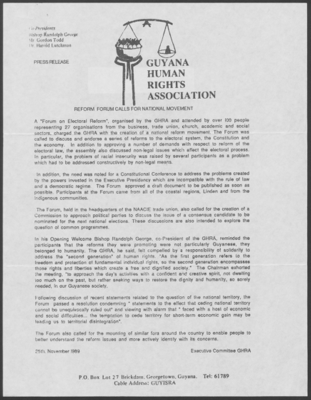 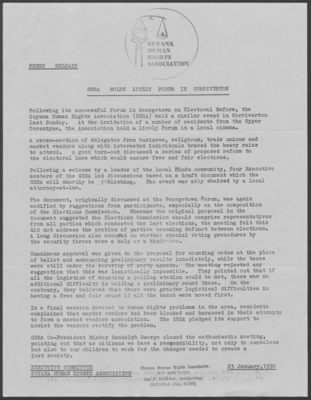 Reform Forum Calls for National Movement.